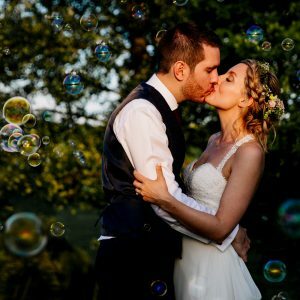 Here’s a little ramble from me about how I approach capturing your big day, looking at my style and the things I look for. Hopefully it’ll help you decide whether I’m the right fit for you guys! My main aim is that when you look back through your photographs you aren’t just reminded of the moments but you remember how you were feeling in those moments. I hate to pose people or tell anyone to repeat thing, all those photographs would achieve would be to remind you of me… And that’s totally missing the point in my opinion. I much prefer to try and capture everything as it unfolds. All the little moments and interactions with your loved ones that make a wedding day so special. You can’t pose emotion. Whether it’s tearing up saying your vows or cracking up listening to the best mans speech, I want to capture it all! I love that a wedding day inspires the whole spectrum of human emotions. From thinking about the people who you wish were there to being so grateful for all the people who are. Laughter and tears, proud parents and gushing grandparents, silly kids messing about and couples getting swept up in the joy of the day. I’ve had couples ask me “how did she manage to be in so many places and be invisible at the same time?” I like to blend into peoples days so much so that you almost forget I’m there, which allows me to capture everyone just being themselves. Laughter is the best! Weddings are a pretty important, but they can also be hilarious and exciting. Capturing so many fun moments and everyone letting their hair down is what I love. People not taking themselves too seriously, brides stuffing their face with cake and kids breaking the rules! A lot of couples portraits will make themselves naturally throughout the day, but it’s usually good to take 15-20 minutes out of the day to escape the madness and go for a little wander. We can get some lovely natural photos of you guys having a bit of a breather, and remembering what the day is all about. You’ve invited everyone you care about to share your day. From people you see all the time to those you wish you could see more. I’ll try and capture them all! You also can’t be everywhere… So hopefully I’ll be able to have a nosey around and capture what everyone else is getting up to and fill in some of the gaps. We can of course do the traditional group shots, but it’s great to keep this part of the day as short as possible and not let it eat into precious celebrating times! Some group shots will happen naturally throughout the day and be much more full of life and personality than when you’ve all been told to line up and smile. Details are part of the personality of your day and I love how they create a colour palette for the set of photographs I create. I do try and get some of the details on their own, the wedding breakfast all set up before you enter and the buttonholes all laid out in the morning. But I love when a detail can be captured in a moment as well. Like this bride looking ecstatic behind her bouquet. I want to be there as a storyteller, creating stand alone images that tell a story as well as sets of images that show a story unfolding. I don’t like to influence the story by moving things around or asking for things to be repeated. I’m there to observe and document the true moments of your day for you to re-live for years to come. I’m all over the place on a wedding day! I use two cameras usually one with a long lens and the other with a short one, so that no matter where I am I can either disappear into the background, or be right in the action. Moments are the subject, but I’m constantly looking for creative ways to capture those moments. Interesting angles, fun reflections, use of depth of field, or lighting to enhance those moments. I want your images to each stand alone as pieces of beautiful imagery. To create images throughout the whole day that you’ll be able to proudly frame on your walls, not just the portrait images of the two of you. When I started shooting weddings there were a lot of images I tried to re-create at every wedding I shot. I quickly realised that every couple is so different that I should approach every wedding with fresh eyes. I should be inspired by the day itself and the new people I’m meeting to create images that are as unique as the couple themselves. I don’t put an image limit on the number of photographs I’ll hand over to you, you’ll receive as many as I think tell your story. This is usually between 600 and 800. Each image will have been individually edited and enhanced by myself to make sure they’re all given the unique attention they deserve. Wow, that was probably a little too much information… But if you’ve made it all the way down here thank you for bearing with me. I’d love to hear more about your plans for your big day. 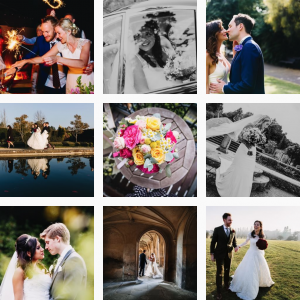 If you’d like to hear more about my wedding packages, see some of my recent weddings, read some of the kind words people have written about me or enquire about a potential booking please click away!